I’ve been really absent of late but it’s ok you can blame it on the mother. I have been knee deep in party plans as I finally threw her a surprise birthday party Friday night to celebrate her turning 50. It had been in the planning stage since early October and the last few days were spent rushing around sorting out cakes, prezzies and decorations. But I’m back. 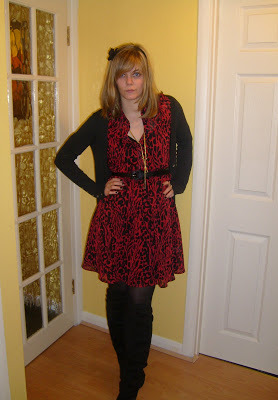 Thought I’d do an outfit post today as I looked fairly decent for once.